During our everyday life, we use the Garmin DriveSmart 61LMT-D which is also the satnav that we have recommend our readers as the best Sat Nav on the market. It comes with the right balance between value for money and driver features to help you get to your destination on time. The one problem with the DriveSmart, even though it offers value for money, it's still not exactly cheap. For a lot of our readers they simply want a sat nav that will get them from Point A to Point B in the quickest possible time for the cheapest possible price. This is the best cheap car sat nav review comes into play. Here we don't so much car about the latest features or driver alerts and really only care about answering the question, what’s the best cheap car Sat Nav on the market right now. When we talk about cheap Sat Nav systems, what we’re really talking about is Sat Nav’s that work well but cost less that £100. The real decision is the first part of this phrase, “work well” as you do have the simple option of popping over to Amzon.com and picking up a really cheap Chinese import made from a company that you have never heard of, however honestly don’t. We have of course done this ourselves and the results were not pretty. We got a Sat Nav device for less than £30, however it did not really work, the maps were useless and worst of all, we could not update it. What you really need is a brand named GPS that has years of testing, from a manufacture that continually updates their Sat Nav Maps and units, however a new one of these will cost well over our budget, so this leaves us with a difficult choice. Half of us feels that you would be better to go with a cheap, basic brand name model that will provide you with all the directions that you need, but will not comes with any of the features, and the other half of us thinks that you should buy a slightly older model that has recently been replaced with a newer model. This will fit into our budget and provide us with all the directions that we need whilst at the same time giving us a few useful features that may not work as well as in the latest models, but for us will do the job fine. Below are sat nav reviews for what we think are the best cheap sat nav units from across the the market. When we say market, this means our two favourite sat nav manufactures being Garmin and TomTom. The Garmin Drive 51LMT-S is the all new replacement for the Garmin Drive 40 below and whilst there are not a huge number of differences between the two models, the differences are pretty big. The key difference with all the new models is the introduction of Trip Adviser - more on this later. The all new 2018 Drive range consists of two models, the Drive 51LMT that comes with a 5-inch screen and the Drive 61LMT that comes with a 6-inch screen. If you take the Drive 51LMT with UK Maps, you can have a brand new, 2017 sat nav with the everything you need to get yourself from A to B for less than £100. The 61LMT with it's six inch screen does cost a little more, and if you want maps of Europe, then you pay a little more again. In terms of directions, not much has changed between the previous model below, however the screen is slightly better and easier to control. There is still no pinch&zoom meaning that you have to use the buttons to zoom in and out, however with this model, they work slightly better. Directions are the same, and you still get free lifetime map and traffic alerts, however what has changed and is a big improvement, is the addition on Trip Adviser meaning that you can now search through millions of places of interest along your route and read review about them to make sure you're choosing the right place to go to. For a sat nav under £100, the new Drive 51LMT-S is firmly the best cheap sat nav on the market today. 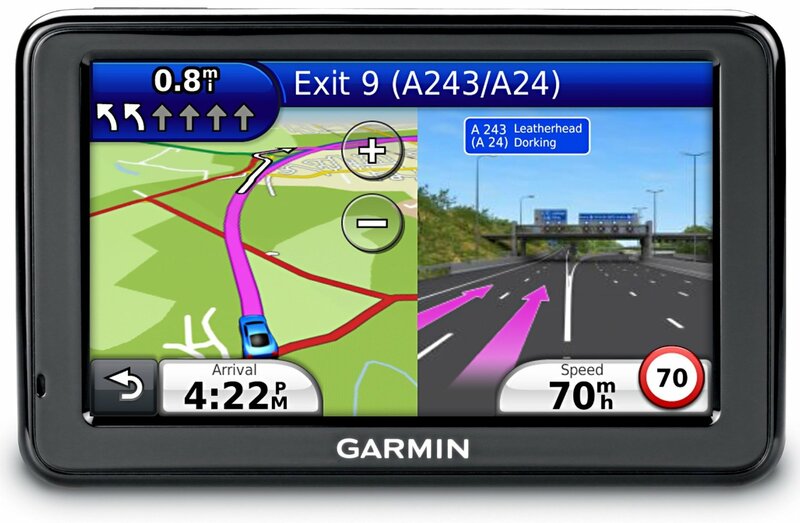 The Garmin Drive 40 has been specifically designed and manufactured as a small, cheap satellite Navigation unit that provides directions to help you get from A to B without all the extra features and connectivity that features in many of the new top of the range models and much more expensive models. The Drive 40 is part of the 2018 range of sat nav unit's meaning that it has been specifically designed to perform well whilst given it's size. The unit comes with a 4.3 inch, dual-orientation screen that has been preloaded with maps of the UK, Ireland and western Europe and comes with the added benefit of free lifetime map updates. The unit is small, but easy to use meaning that you can easily enter your destination and be provided with step-by-step directions to help you get to your destination. Apart from coming with a great small screen that works well in both low light situations and in direct sunlight, the drive 40 does not offer any other features, however it’s a great cheap sat nav that performs well. The only key downside is that the screen operates as a dual orientation screen meaning that when you reach a difficult junction it split in two which your directions on one side and lane guidance on the other, however it’s really too smaller screen meaning that you cannot really see anything of either side which is a little frustrating. 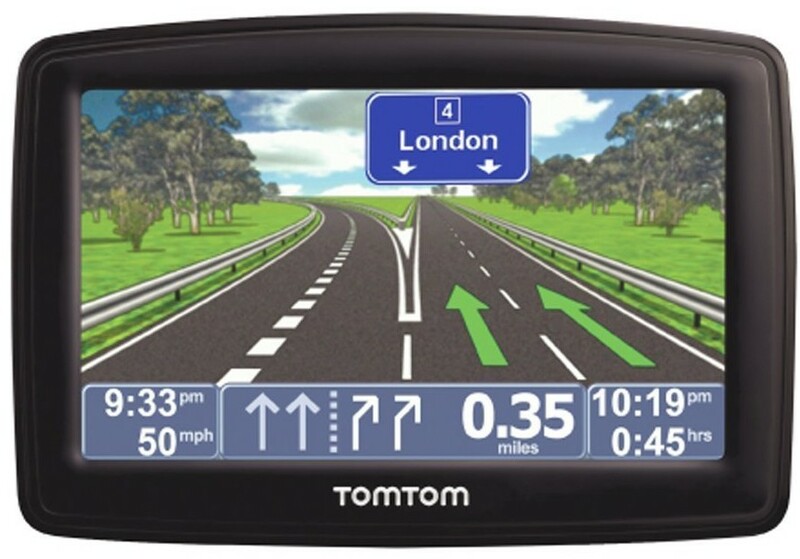 The TomTom Start 40 is part of TomTom’s all new and improved range of sat nav’s that have been drastically improved over the last few years meaning that they can really compete with Garmin’s range of sat units which have dominated this space over the last few years. The start 40 is the bottom of the range sat nav unit, but like the Drive 40 above has been designed specifically as a cheap, small sat nav that will provide directions to get you from A to B. The Start 40 comes with a 4 inch screen that uses a tap and scroll button that allows you to easily move around your maps and zoom in to see your destination. The maps are great and come with lots of detail, whilst having the added benefit of coming with lifetime map updates meaning that you should be able to always be driving with up to date maps. Extra features are pretty limited, however it does come with a difficult junction mode that shows you which lane to be in when you reach a difficult junction and a massive points of interest database that will help you to find a new location if you get bored. It’s a great sat nav unit, however the screen is pretty terrible in direct sunlight conditions meaning that you will need a sun shade if you’re planning to use this unit over the summer months. 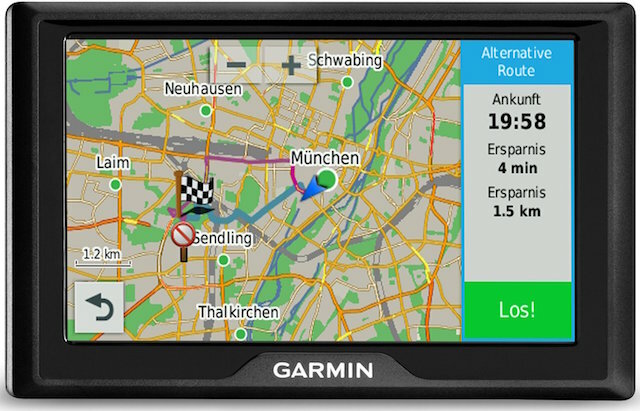 The Garmin 65LM is a 2012 model that comes with a decent 6-Inch LCD screen, decent processor that will calculate your routes, free lifetime maps updates to make sure that even though your buying a slightly older model, the maps and therefore the directions will be up to date and keep you from getting stuck on roads that do not exists. The 65LM comes with a massive points of interest database that contains over 6 million entries all over the UK meaning that if you need to find a petrol station whilst your in the centre of London, your device will easily be able to find one. 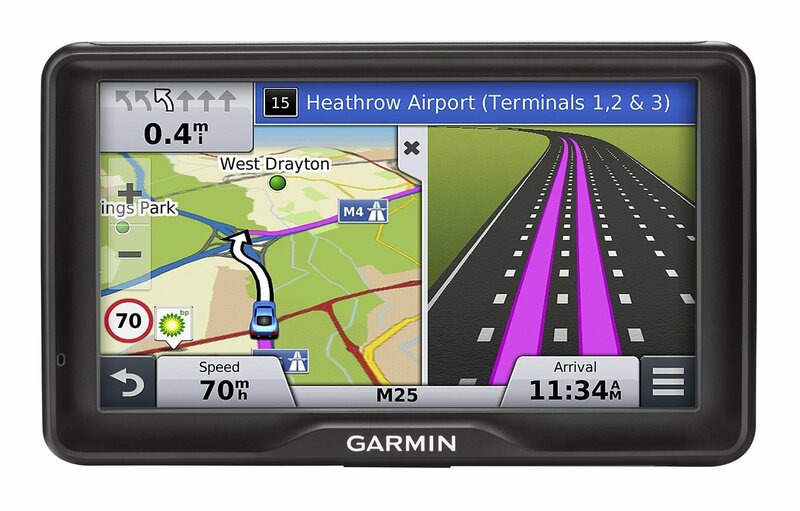 As with all Garmin’s the interface and menu system is easy to use and the maps are detailed allowing for turn by turn directions to be spoken to you. The system uses a few early Garmin navigation points such as lane and junction assist which means that as soon as you enter a difficult junction the screen splits into two with one side of the screen showing your direction and the other using coloured arrows to show which lane you need to be in to get to your destination. 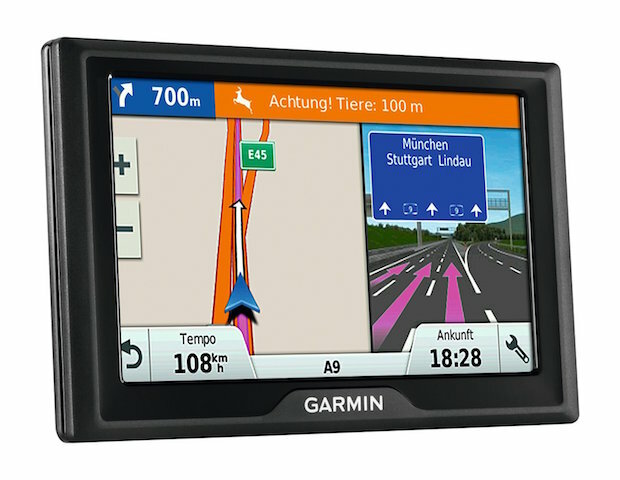 The 65LM also come with a MicroSD card slot that means that you can import maps to use if you want to use your Sat Nav device outside the UK in Europe for example, however it does not come with Traffic alters or Bluetooth or any of the other latest features that you will find on any of the 2014 Garmin models. Overall for less than £100, this is a great cheap Sat Nav system. The Garmin Nuvi 295W is a superb Sat Nav system that comes with a widescreen 3.5 inch touchscreen that can slip between landscape and portrait view whilst also providing help with difficult junctions using the dual orientation screen. The unit also contains a slightly older, but still very good internal processor that will calculate routes for you to get to your destination. 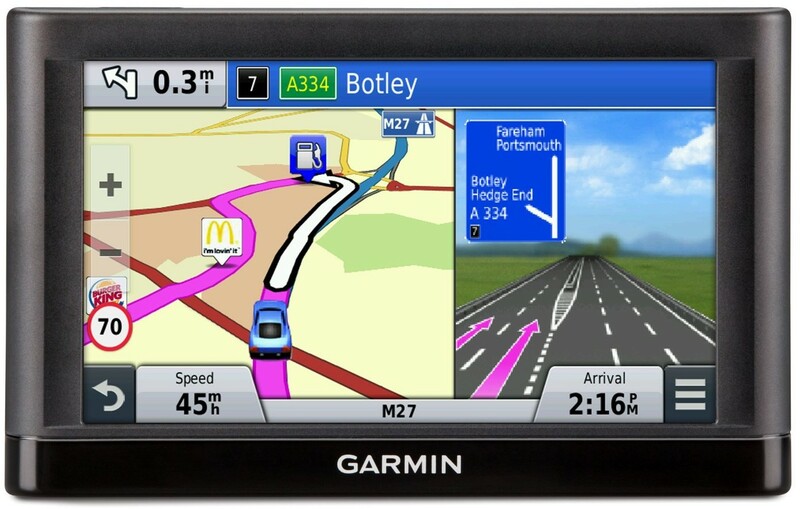 The 295W has a simple, yet easy to use menu system and interface and whilst it does not come with free Garmin Lifetime Map updates, the maps are up to date at purchase and then you will need to update them yourself with CityXplorerMaps which provides the latest map updates for inner cities and towns. After you have entered your destination using the simple on screen menu, the 295W will calculate your route and provide you with simple, but effective turn by turn directions to ensure that you get to your destination quickly. The system also will tell you your street names for the both the street that your on and the street that you need to turn down which will make your life much easier. Features are slim and there is no Bluetooth or traffic alerts, but the unit will double as a personal palm computer meaning that you can connect your device to the internet using WiFi and browse the web where you can check your email or even play MP3 music. The TomTom One XL 2 is a fantastic model and is a great example of a slightly older top of the range model that has been replaced by a newer model but still has fantastic features that are actually useful to help us with our directions and a great value for money price tag. The One XLS comes with a super sharp widescreen 4.3-Inch touchscreen display and makes sure that you can easily view your detailed maps and driving directions.The menu system and interface is simple to use allowing to you quickly find what you’re looking for. When you decide you’re ready to enter your destination, you can simply pull up TomTom’s very easy QWERTY touchscreen keyboard and enter in your destination. Route calculations are quick and the One XLS will even given you a choice of routes by offering you the quickest route, one that avoids any toll roads or even a route to take into account the country side if you don’t want to simply view the motorway the whole way. The Sat Nav provides you with accurate turn-by-turn directions using both on screen directions and voice directions meaning that you don’t even have to take you eyes off the road to hear your directions. The One XLS was the first Sat Nav system to use what is now the standard and use speed sensitive volume which means that the faster you drive the louder the unit will make your voice directions. 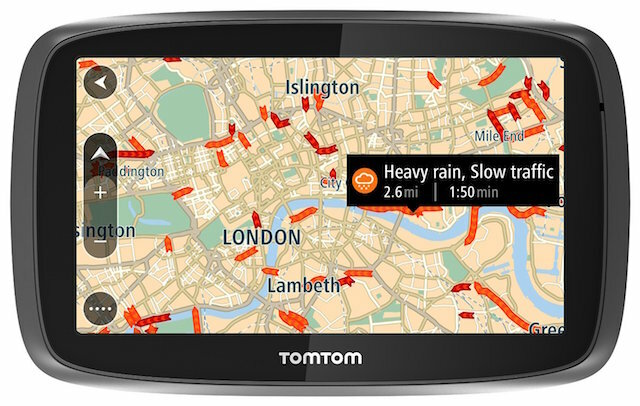 Whilst the One XLS does not come with lifetime map updates like the Garmin Sat Nav system, it does come as standard with TomTom’s Map share technology with enables users to show where any road works or road corrections are located and then share these updates with the rest of the online community. Traffic alerts are available, however you do have to pay for an extra subscription which can add up to your cost. Other features include, fuel prices allowing you to choose the cheapest fuel prices near you and access to TomTom’s home software where you can updated you unit or download celebrity voices or speech in multiple languages and much more.